Could you please specify a license? 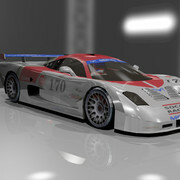 I think for this a CC License would match best. And i SD the car looks a bit flat, if you see the Blender screenshot and i took a look and i didnt found a <car>.xml so that car is not driveable atm in SD?! 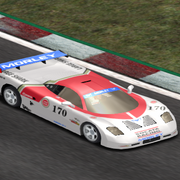 This is a new skin for LS2 - Morly R900 of Richard Fontana regular Speed Dreams driver. Everything made by me is Creative Commons Licensed. It was an adaptation of the Mazda driven by Takeru (Red Mask) in the 1987/ 1988 super sentai series Hikari Sentai Maskman. It is part of my childhood. Cool stuff there Auradrummer! Oh, and welcome to the forum! Thank you mate, hope I can contribute with something to this fantastic game.